From time to time, I like to do a quick post on some of the new vegetables that I’m growing. I personally like hearing from an actual person (since seed catalogs make everything sound nearly perfect), so maybe I can offer that service to someone else. I’ll have a few more of these coming out as the gardening season winds down, but today we’re focusing on beans: one, a pole green bean, and the other a dry bean. I grew Fortex beans for the first time this year, to go along with my Kentucky Blue pole beans. All the beans got off to a good start and fizzled a bit as the cool, wet summer dragged on, so this probably wasn’t the best year to set a benchmark. In spite of this, the Fortex performed well enough that they’ll be part of the regular rotation for the foreseeable future. The vines are pretty vigorous, similar to the Kentucky Blue, and they filled the trellis quickly. They didn’t produce quite as heavily as the KB, but they produce the longest pods I’ve seen (outside of yard-long beans). They have a great fresh flavor, and didn’t get stringy even when I left them on the vine too long. Definite keeper. I’ve also dabbled with dry beans for the past couple years. Since I devote just a small portion of the garden to these, I only end up with enough for a few meals, but it’s fun to try new varieties, since most of what you can get in a store consists of “white,” “black,” and maybe some pintos. 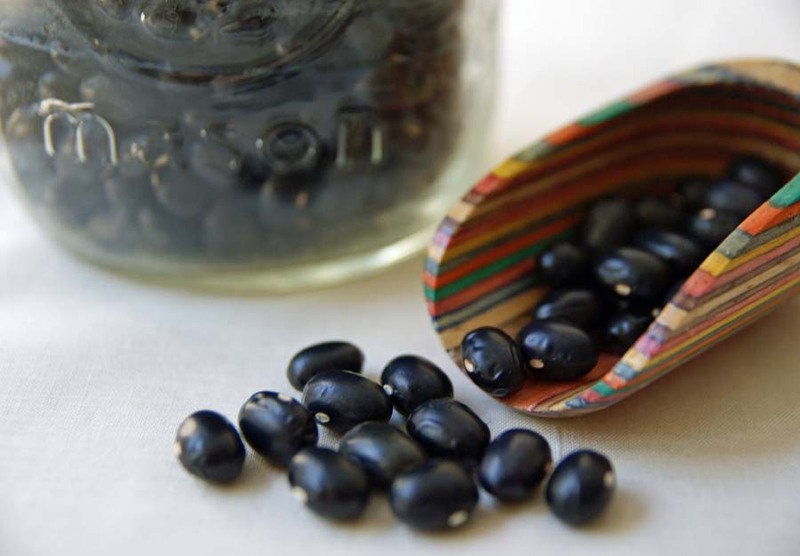 I tried a few new kinds this year, one of which is Coco Noir, a pretty standard black bean. It’s been fairly productive, with most pods having 5-6 beans. The beans themselves are nice and meaty-looking, though I haven’t yet cooked any of them. I’ll call this one a “Probable Repeat” because it performed quite well, but because there are so many other varieties, I may just keep trying new ones. 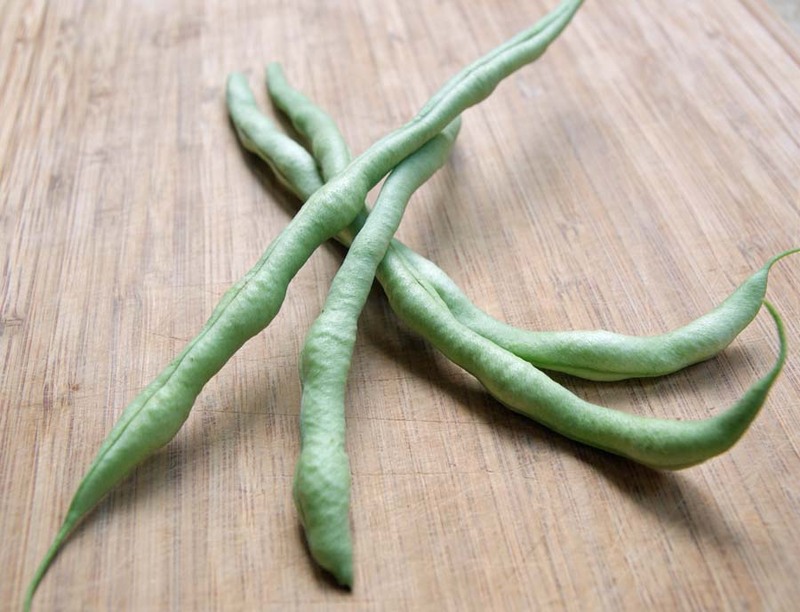 I tried Dragon Tongue beans (a bush snap bean) for the first time this year, mostly because I wanted one with some color so I could find it easier on the plant. Turns out, even with the purple spots, they’re still pretty good at hiding. But I’ve been astounded at their production. Even with severe deer damage early on, they just keep growing and growing. Big, too. A keeper for me. Good to know – I’ve seen those before but never pulled the trigger. I’m all about productive, so I may have to devote a spot for them next year.